Suggestions and corrections are always welcome. Most of these photos were submitted by website users. From the Perth Museum archives. Photo seems to have been taken in Chicago or Atlanta. A short history of these women's family has been added byMalcolm Sissons. Includes a short biography byRupert Speyer. Two photos submitted byRobert T. Bond. 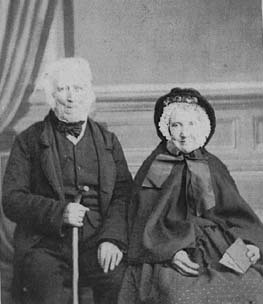 Robert Craig and Isabella Gilchrist settled near Hopetown in 1821. 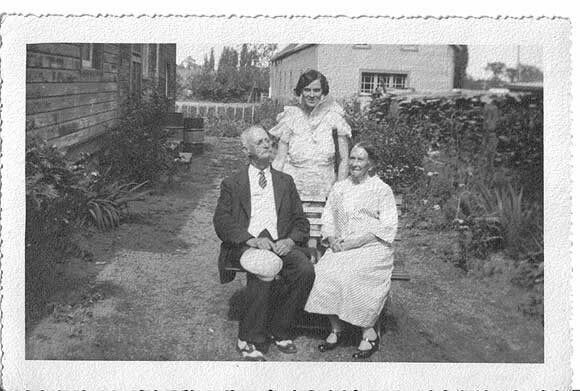 Photos and a pew ticket found in the Foley family Bible. Photo is of George St., Lanark Village, c. 1900, looking north. Submitted by Michelle Skarazinskas. Photo probably taken before 1889. Short bio includes surnames CALDWELL, ECHLIN, KEATING, LAROCQUE, WHITE. Submitted by Bill Mains. Group photo with a few men identified. Surnames include: FEATHERSTON, GARLAND, MAINS. Photo from the Perth Museum archives. Surnames: BEATTY, BLAIR, BURKE, DOUGLAS, FERGUSON, HARPER, HEADRICK, LEE, McMANUS, O'GORMAN, PALMER, POWNALL, READY, RUTHERFORD, TROY, TYSICK, WHITE. Submitted byMarty Pickard (Ter Marsch). Scanned from a small locket and thus pretty rough. Six photos submitted by Joan Troemner taken between 1877 and c. 1905 in Almonte, Ont. 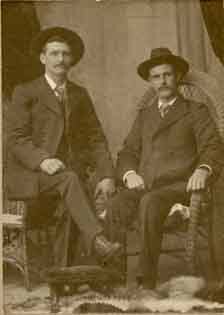 Surnames in descriptive text include: CHRISTENSEN, JENSEN, ROBERTSON, RODGER, TAYLOR, WATCHORN. Included is Joan's article The Family Story of Joseph Jensen", from the May, 1998 LCGS newsletter. Photo taken before 1905. Who are the two men with him? Included in the Perth Museum's display "Expressions of Faith". Del Dunlop says about these photographs ". . . . when I was 7 years old (1938), I went with my mother's uncle John Stead of Lanark Village to the Gemmill farm where Sylvanus Gemmill had just died. The contents of the house were being discarded. The bulk of the material were old newspapers and journals. The newspapers were most likely the earliest Lampton Observer (?) which had been sent home by an earlier Gemmill. At the age of seven I was outraged that everything was to be burned. We did manage to get a box of negatives which could only be Robert Stead's archives. There were many, many boxes of negatives . . . ."
Mrs. Mary Affleck on her 100th birthday. Taken in 1913. Fallbrook school class, about 1915.. Eva Stead is the teacher. Lanark Village. This view is to the right of the one above, looking north-east. Lanark Village with town hall. Departure of the 130th Battalion in 1916. Lanark Village town hall. 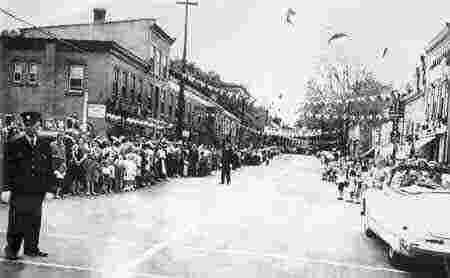 Looks like a Dominion Day parade. Reputedly the oldest house in Lanark Village. Since torn down, naturally. Downtown McDonalds Corners. View looking west. Downtown Watson's Corners. View looking north. Church in Watson's Corners. Different view from first photo. Steam Saw. Group of men cutting firewood into lengths. Unknown School Children (3). Or possibly a Bible class. Unknown Woman. A beautiful photo -- the scanned image doesn't do her justice. Unknown Workers. Probably at a saw mill. Thomas Watt & Sons display. Perhaps from a county fair. Obituary of Robert J. Stead, photographer From the Lanark Era, August, 1919. The laser printer copies from which these images were taken, have been given to the Lanark and District Museum, Lanark Village. Photo from the Perth Museum archives. Charles Stone was at one time publisher of the Perth Expositor. Can anyone properly identify the people in this photo? Timothy was born in Ferguson Falls, 1828. Submitted by Ken Wright. 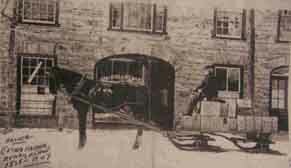 Photo taken c.1910 in Almonte. Short bio includes surnames BLAIS, BOLTON, BYRNE. Work Crew on Highway 7, circa 1930. Can anyone identify the men in this photograph? Does anyone have knowledge of the people in these photographs?